Behind every great squash player is a great coach, and in Scotland, we have many coaches ranging from our level 1 coaches delivering extensive school/club programmes to our High Performance Coaches who work with our regional squads and performance programme at Oriam; Scotland’s Sports Performance Centre. Our coaching pathway can support you to develop and progress in a coaching career, from our Level 1 qualification enabling you to coach groups of beginners, to our High Performance Coaches working with elite players. Our coaching qualifications are currently undergoing re-development and further details will appear here as they are developed. This course is currently being reviewed and re-developed in line with a new school resource which is being developed. Please check back here at a later date for further details or contact us. Our one-day level 1 course qualifies coaches to deliver squash to groups of beginners. This course is ideal if you’re an aspiring coach with limited or no experience in coaching. This course is also great for parents or leaders keen to help out with the coaching or increasing participation at your local club or facility. 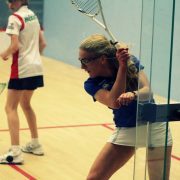 Deliver a well organised safe, fun and inspiring squash coaching session to a group of players. 2018/19 Course Dates: Sign up here. This qualification is currently undergoing development and further details will follow in due course. Scottish Squash have partnered with England Squash to support candidates wishing to complete a level 3 coaching qualification. Further details around the England Squash Level 3 Coaching Qualification can be found here. Anyone interested in completing a level 3 squash coaching qualification should contact Scottish Squash in the first instance (info@scottishsquash.org). Scottish Squash are soon to re-launch their coach licence scheme and further details will be available here shortly.